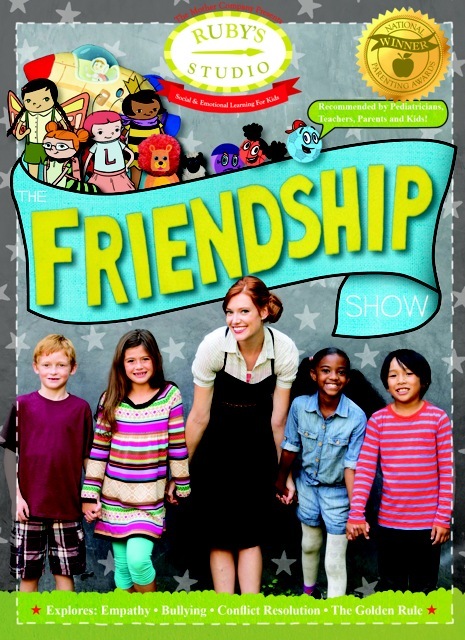 @TheMotherCo Presents: Ruby's Studio: The Friendship Show DVD Review & More! I had the opportunity to watch The Friendship Show along with a few books that I got to read with both my kids from The Ruby Studio. 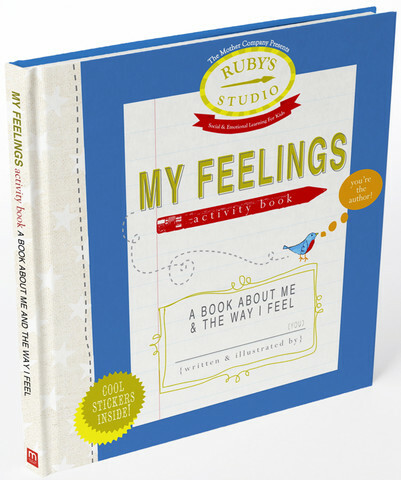 The Ruby Studio has a line of products that helps kids learn and talk about their emotions. Let's start off with talking about, Ruby Studio: The Friendship Show. I must say I was amazed by this show and at my son's reaction to it. He is seven and is very in tuned with his feelings. My daughter is two, so she is just learning and experiencing the different types of feelings she has. This show was great for both of them because it taught them that it's okay to have and experience different feelings and they show them how to handle them. In the video they also teach the children how to resolve and confront bullying which I think is key to these young kids. As a mother I’m always worried that it will happen to my kids, as I’m sure the rest of you feel the same. Along with the DVD we also received three books, the My Feelings Activity Book, A Little Book About Feelings and Sally Simon Simmon's Super Fraustrating Day. The activity book is great, my son is still writing in it. In today’s world there is so much bulling going around that a book like the My Feelings Activity Book is definitely something young kids should have so that they can express how they're feeling in their own way and also learn what that feeling means. I loved that it came with stickers and each day my son got to choose what he was feeling and write why he felt that way. This is a great book for both kids and parents as this helps the kids learn what the different emotions mean and help the parent understand why their child is feeling that emotion at that specific time. 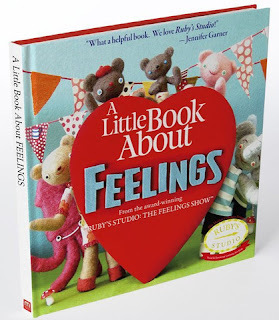 My daughter did enjoy the book, A Little Book About Feelings. I love that this teaches her the many different feelings we have and at the end of the book they do a goodbye part that she now does on her own around the house. 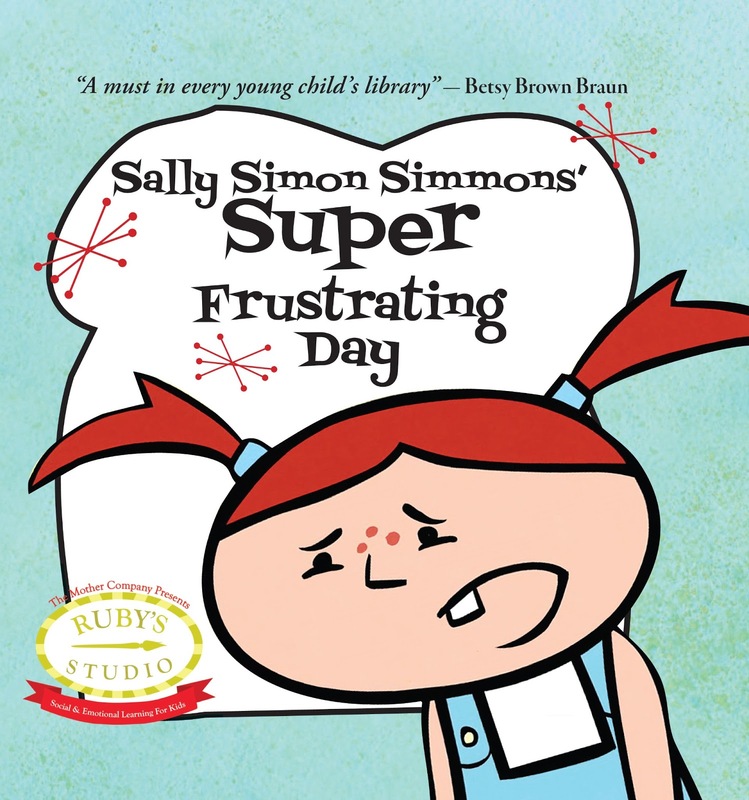 The Sally Simon Simmon's Fraustrating Day book is about a little girl kind of having a bad day and feeling fraustrated. Her friends try and help her get through her day and by the end of the book she's okay. feelings. These books and DVD encourages kids to treat others the way they would like to be treated in which is something I tell my son almost every day. I was 100% pleased with everything I received. And you'll love The Happy Song, which is available on their site or on Itunes! To learn more about Ruby Studio's DVD and books, feel free to check them out on their website! Disclosure: All opinions are my own. I received the above mentioned products from The Mother Company at no cost for the purpose of this review. No other compensation was received.